Check it out! 2017 Honda CR-V top of the line Touring! Integrated navigation! All season floor mats! Including heated leather seats, seat memory, moonroof, Honda sensing suite, automatic headlights, AM/FM stereo, satellite radio, bluetooth, USB, fog lamps, auto-dimming rear view mirror, cargo cover, and much more! Make it yours today! 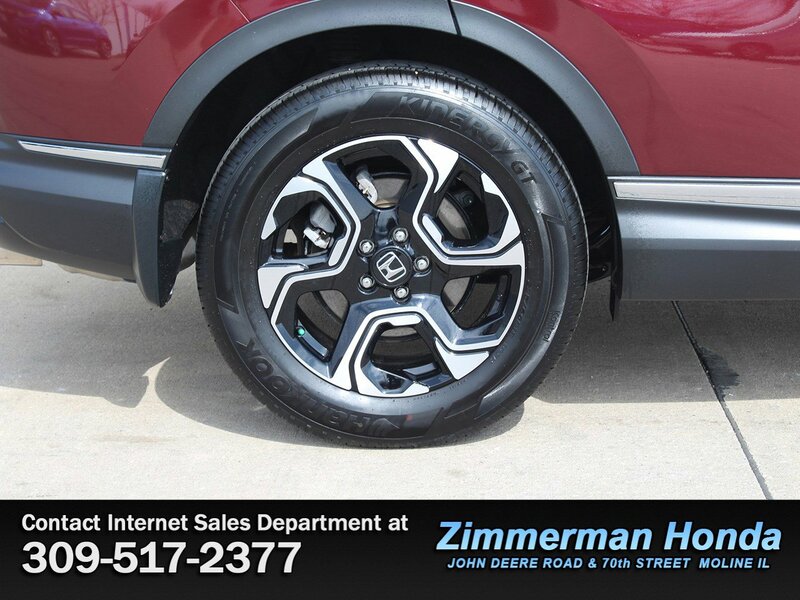 Contact Zimmerman internet sales at 309-517-2377 and speak with Vanessa, Ben, or Marty!